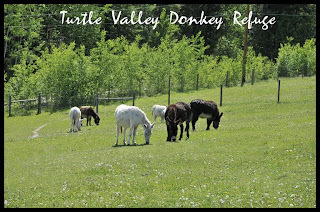 Turtle Valley Donkey Refuge: Some of the Long Ears awaiting your arrival. Some of the Long Ears awaiting your arrival. Lady and Sara. Lady had the front of her sore hoof trimmed back again by the farrier and it is attached at the top so it is healing a bit now . It still hurts her sometimes but she is coming along nicely. 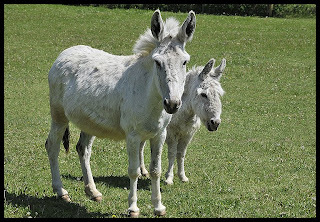 Sara is in need of a couple of good groomings so I can get her winter coat off before Donkey Days. After all they must look there best for you all! 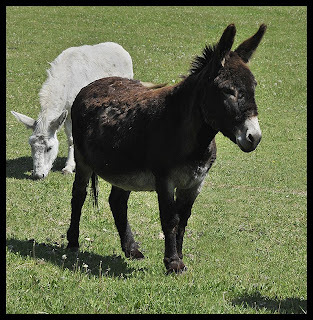 Beautiful Maximo the head Donkey on the Farm and the trainer of all the other Donkeys. We are planning to train him to pull a buggy this year. We know he will be a willing participant and he should be fairly easy to train. 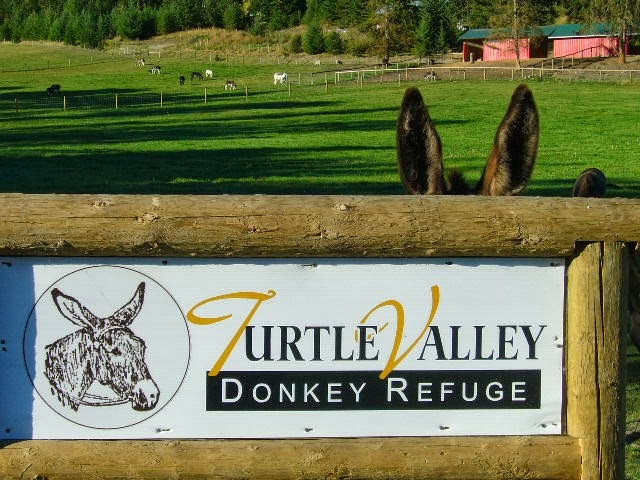 Just a reminder that there are only 9 more days until our First Annual Donkey Day celebration. Hope to see you there.